Benoît Assou-Ekotto is a professional French-Cameroonian footballer currently playing for Tottenham Hotspur. Assou-Ekotto's performances in 2005–06 saw him labeled as one of the most highly-rated full-backs in Le Championnat. The full-back, who can also play on the left wing, followed his brother, Matthieu, in signing for Lens at the age of 10 before making his bow for the first team at the start of the 2006–07 season. Assou-Ekotto played 34 of Lens' 38 league games in the 2005–06 Championnat. Assou-Ekotto's first game in Ligue 1 was against PSG on the 28th March 2004, Lens won the game 1–0. During his 66 games in Ligue 1 he failed to score. Kicking-off the 2005–06 season in the Inter Toto Cup on July 3, he played in all of Lens' games as they won that tournament and therefore secured a place in the UEFA Cup. He then played in seven of eight UEFA Cup matches as Lens went out to Udinese in the last 32. After breaking into the first team with three appearances in 2003–04, Benoit caught the eye with 29 starts in 2004–05. Assou-Ekotto moved to Tottenham Hotspur in the summer of 2006 under Martin Jol for an undisclosed fee, but the media expected it to be in the region of £3.5 million. ssou-Ekotto was described by former Tottenham Sporting Director Damien Comolli as one of the hottest and brightest prospects in French football at that time. 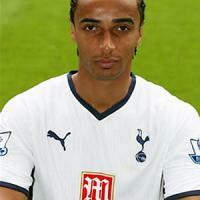 Martin Jol brought Assou-Ekotto to Spurs to provide competition at the left-back position. The Cameroon international was an unknown when making the move to White Hart Lane, but his performances in pre-season secured him a place in the starting line-up ahead of South Korean Lee Young-Pyo. He made his full debut in a 2–0 defeat at Bolton Wanderers on the opening day of the 2006/07 season and looked to have unseated Lee until injury saw the Korean win his place back. After picking up a knee injury in December 2006, he appeared to have lost his place in the first team to his predecessor at left-back Lee Young-Pyo. When Spurs made their worst ever start to the Premier League under Juande Ramos made Assou-Ekotto's chances of first team football limited, but when Redknapp was announced as the new manager of Spurs he claimed that he wanted to leave England to go back to French football. "I'd love a return to France," Assou-Ekotto told radio station RMC. "Above all I would love to join PSG." Harry Redknapp decided to play Gareth Bale at left-back, but due to poor performances Assou-Ekotto was given the chance to replace him in the team. Assou-Ekotto improved rapidly with regular games and became first choice left-back towards the end of the 2008/2009 season. Having regained his fitness in the 2008/2009 season, he has become the North-London club's first choice left-back ahead of Gareth Bale, due to a string of good performances under new boss Harry Redknapp. Such performances have led to Assou-Ekotto earning plaudits internationally and he is now regarded as a good Premiership left-back. He was picked for his usual place in the starting eleven in the Carling Cup final against Manchester United where he played exceptionally well as he was up against Cristiano Ronaldo. "I think he has been injured before but I have been very impressed with him this season as he has been in great form. He has looked an outstanding left-back". He scored his first career goal in the win over Liverpool on the opening weekend of the 2009–10 season with a half volley from 30 yards. He was rewarded for this fine form, signing a 4 year contract extension on 19 August. The 26-year-old has resisted calls from the Indomitable Lions since 2006 after having his heart set on representing France, the country of his birth. But the left-back has seemingly given up hope of turning out for Les Bleus with the likes of Arsenal's Gaël Clichy and Manchester United's Patrice Evra as Domenech's first choices. The former Lens ace qualifies to play for Cameroon through his father and when he first got to meet his new team-mates he was very happy. Assou-Ekotto made his debut for Cameroon against Guinea in a friendly on the 11 February 2009. He also played the full 90 minutes in Cameroon's 1–0 surprise world cup qualifying defeat to Togo on 28 March 2009. He was supposed to take part in the 2010 African Cup of Nations but was ruled out due to injury.